Liquid blow means that the refrigerant liquid or wet steam is sucked into the compressor by the compressor due to failure or insufficient absorption of heat, which is called liquid blow. 1, return liquid: that is, the refrigerant evaporation is incomplete, and the return liquid is closely related to the selection and improper use of expansion valve. Too large selection of expansion valve, too small setting of superheat, improper installation of temperature sensing package or failure of insulation and failure of expansion valve may result in liquid return. 2. Excessive foam when the liquid is started. When the return air compressor is started, the phenomenon of oil bubbles in the crankcase is called liquid starting. The fundamental reason for the starting of the fluid is the dissolution of the lubricating oil and the large number of refrigerants sinking under the lubricating oil, which suddenly boil when the pressure is suddenly reduced, and cause the bubbling of the lubricating oil. The liquid strike caused by the starting of the liquid is only in the starting process. 3. 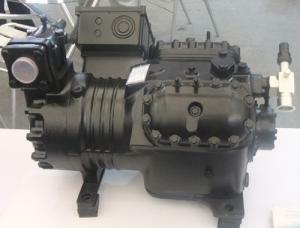 There are too many lubricants in the compressor: the oil level is too high, and the large crankshaft and connecting rod with high speed can hit the oil surface frequently, causing a lot of spatter of the lubricating oil. Once the splashing lubricant enters the intake port, it will lead to liquid blow. 4, the refrigerant added too much: the refrigerant filling too much will not only cause the compressor back gas belt fluid, but also may lead to the compressor back gas flow velocity too low, the evaporator can not return to the compressor, causing the compressor to burn out. 5, evaporator fault: in evaporator without evaporation into the compressor return pipe, easy to create a compressor liquid blow. If the evaporator failure causes the coil frosting is serious, the evaporation of refrigerant is not complete, which is also the main reason causing the compressor to return to the gas. 6. The design and selection of the volume design of the gas liquid separator is unreasonable: the air liquid separator is the most effective method to prevent the compressor from oil and liquid shock. The gas liquid separator can temporarily store the superfluous refrigerants in the gas liquid separator. In the heat pump system, the condensers can be deposited in the condensers when the heat gas thawing refrigeration and the heat transfer work are made. The refrigerant liquid which is gathered is used for gas-liquid separator, which greatly reduces the risk of liquid blow. 7, refrigerant migration: refrigerant migration refers to the process or phenomenon of the refrigerant in the evaporator in the form of gas in the form of gas in the form of gas in the evaporator to enter the compressor and be absorbed by the lubricating oil, or after condensing in the compressor, and mixing with the lubricating oil. When the liquid blow occurs, turn off the suction stop valve of the compressor immediately, and close the throttle valve to stop the liquid supply. If the suction temperature continues to decrease, continue to turn off or even close the suction valve. When the crankshaft is rotated, the friction heat between the crankshaft and the bearing bush evaporates the refrigerant in the crankcase until the refrigerant evaporates completely in the crankcase. After that, turn on the suction valve slightly and increase the load slowly. When the liquid strike occurs, attention should be paid to the observation and adjustment of oil pressure. If no oil pressure or oil pressure is too low, the lubricating oil and refrigerant in the crankcase should be released, refuel and restart the machine. 1, reduce the amount of refrigerant filling: the best way to protect the compressor from a liquid refrigerant is to limit the amount of refrigerant filling to the permissible range of the compressor. If it is not possible to do this, the amount of filling should be reduced as much as possible under the condition of ensuring the effect of refrigeration. It is very important to arouse the vigilance of the bubbles caused by too thin liquid pipe diameter and too low pressure head in the lens, and it is very important to fill the refrigerant reasonably. 2. Crankcase heater: the function of the crankcase heater is to keep the temperature of the refrigerating oil in the crankcase higher than the temperature at the inlet of the compressor in the system. Crankcase heaters are generally heated in use, and crankcase heaters are very effective in preventing migration, but the crankcase heater can not protect the liquid reflux from the compressor, and the heater must be preheated for a long time before the compressor is opened, and the operation is not strong for the practical application. 3, return air heater heater: in the cold season, the compressor is still able to return gas when running, which can increase the electric heater or heat to assist the compressor to increase the overheat of the compressor. This method is simple and effective. It can increase the overheat detection and install to make the control more accurate, thus protecting compression. Machine, prevent liquid strike. 4. Air and liquid separator of suction tube: a gas liquid separator is installed on the suction pipe to temporarily store the overflow liquid refrigerant in the system, and the liquid refrigerant is returned to the compressor at the rate that the compressor can bear. Due to the different requirements for the overall filling of different refrigeration systems, the refrigerant control methods are different. The need for gas and liquid separators and the large size of the gas and liquid separators depends on the requirements of the specific system to a large extent. In addition, in the design stage of the refrigeration system, controlling the opening of the throttle element and increasing the heat transfer area of the evaporator can effectively improve the overheat of the gas, and reduce the phenomenon of the compressor liquid strike in the operation of the system. When filling refrigerant, avoid filling liquid at low pressure side and prevent compressor from starting with liquid.